Still not losing as much of my mucous plug! Got to see my precious baby at our ultrasound! Almost out of the FIRST TRIMESTER! Bloated has started to go away! Exhaustion has kicked in at full force! Round ligament pains especially when I sneeze. Breasts are starting to feel tender. 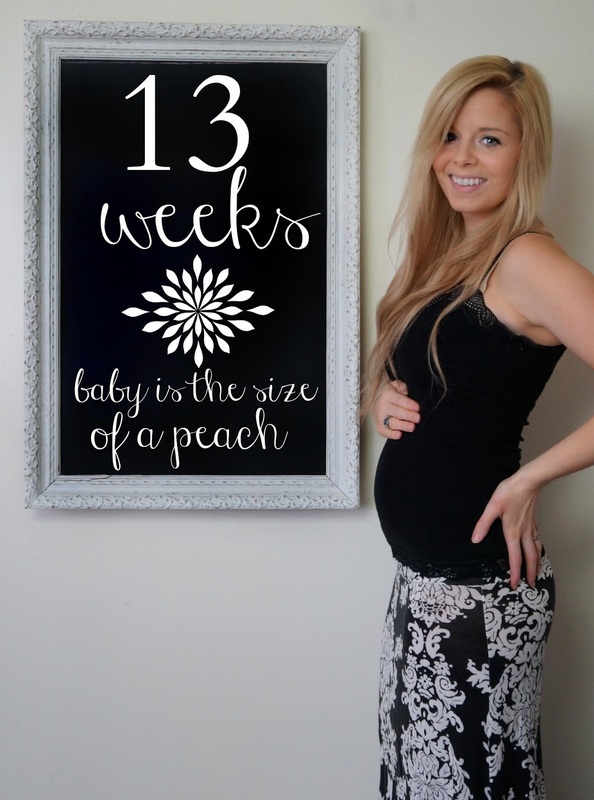 It’s still stone fruit season this week and your baby is in the peach section. That’s right; it is the size of a ripe peach and is probably just as fuzzy at this stage of its development. 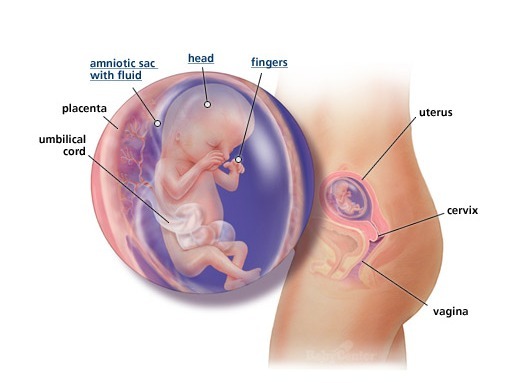 The fine hair which covers the surface of your baby’s body at 13 weeks serves to protect its skin when it is floating around in all that water. Your baby is preparing its vocal chords from this week. One of the most amazing noises you will ever hear is your baby’s first cry, a mix between relief and longing to calm them. There will be times of course when you’ll wish those vocal chords didn’t work quite as well as they do. Welcome to parenthood. The connections between your baby’s brain, muscles and nerves have all formed by now. They are able to move freely and use their muscles to push and pull themselves into various positions. Sleep: Elena has been waking up every hour at the least so sleep hasn't been happening at night for this momma. 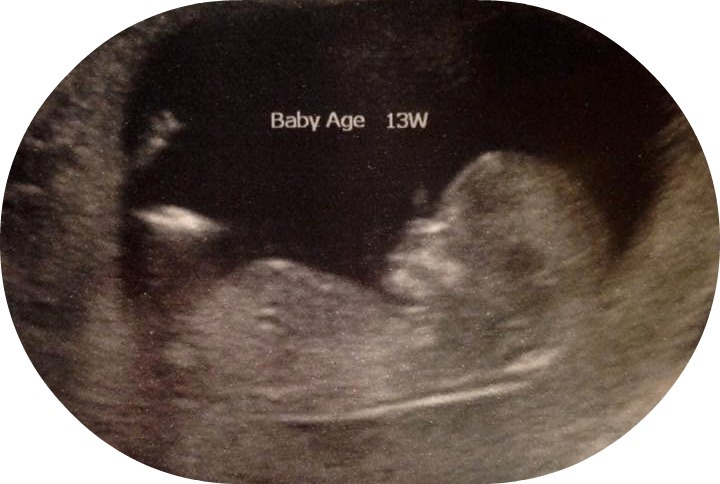 Best moment this week: I got to see precious baby at my 13 week screening and ultrasound. Worst moment this week: I have been beyond emotional and easily peeved this week. I think the stress is getting to me. Cravings: Sweet stuff this week! Chocolate, fruits, cherry pie, waffles. The list goes on! Mood: With the babies I am beyond happy and loveable no matter my mood. Elena melts you with her giggles and Brayden's kisses and hugs always fill my heart with love. I have still been pulling away from everything else. Talking to a bunch of people add on to my stress so I have just been concentrating on me and my family. Weekly Wisdom: Sometimes you just need to distance yourself from people. If they care, they’ll notice. If they don’t you know where you stand.